tv-ooh: tv we like to watch on the tv: Are loads of missing Doctor Who episodes about to be announced as found, or what? Are loads of missing Doctor Who episodes about to be announced as found, or what? It's been the talk of certain parts of the internet for a few years. Go and Google it; you'll see. And as a result, numerous Doctor Who fans have become incredibly excited; some may even have sought medication. Could the rumour - that a batch of around 90 of the 106 missing episodes of black and white 1960s Doctor Who has been recovered from a warehouse in Africa - be true? For those eager to believe, 'evidence' - that is, currently unsubstantiated rumour from anonymous sources - appears to have been building for a while: back in June, news and gossip website Bleeding Cool posted a story, written in good faith, that sparked a fever-pitched frenzy among fans. This was followed by another story which wondered if the whole thing might actually be a hoax. The second one probably didn't go down quite so well but there you are. People who would know if such a discovery had occurred said they had no knowledge, it reported, and over on the speculation-as-facts free-for-all that is Twitter, similar gossip and denials took place. But - aha! - any denials were because those involved were all sworn to secrecy, went the argument. However, what was odd was that the BBC issued a statement - a statement that didn't actually say very much: "There are always rumours and speculation about Doctor Who missing episodes being discovered, however we cannot confirm any new finds." The fact that it wasn't a definite 'no' led some fans to continue with the hoping, but what is it that we actually know? Not much - but the main idea centres around the discovery of a film vault in Sierra Leone, once thought destroyed in the war but wasn't, which had been storing thousands of film cans containing copies of tv shows including Doctor Who, made and sold by the BBC and sent there for transmission in the 1960s or 70s, and then forgotten about. (And it's not just Doctor Who, it's also said to contain missing episodes of Dad's Army and Morecombe & Wise - episodes that are missing from the BBC's own archive because up until the late 1970s the BBC had a policy of wiping old video tapes of programmes they considered had no further commercial value). The story goes that the material is slowly being returned from Africa to the BBC for copying and restoration, and with the 50th anniversary of the programme in November, an announcement on the Doctor Who episodes could be due shortly. And, curiously, the BBC's webpage on Dad's Army, lists several missing episodes of the show's second series - but as if they're due to be broadcast. Let's not forget though - this is still all rumour, and nothing is fact. But a story published on the BBC News entertainment section on September 10 outlining some of the BBC's plans for the 50th anniversary talked about a BBC Four screening of a 'newly restored' version of the programme's first ever story - a story that's already available on DVD in good quality. Shortly after publication, the story disappeared from the BBC News website - why? Is this 'newly restored' reference a teaser to disguise that what we'll actually see is a showing of a newly restored and recently found story instead? 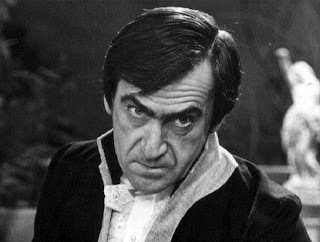 Like, Patrick Troughton Yeti-in-the-London-Underground-romp The Web of Fear, say? On the same day, there was also a tweet from Doctor Who fan site Outpost Skaro, referring to another Patrick Troughton story called Enemy of the World - currently missing - that is to be the first of the apparently recovered stories to be released on DVD, it said. Tweets like this come and go so who's to say how true it may be - but it's all part of the endless speculation if you know where to look. With such secrecy about what may or may not be going on, the one thing we need - evidence, definitive proof - is the one thing we don't have (yet). And if this batch does exist, it would also fit with the BBC's promise that Doctor Who would 'take over television' in its anniversary year, even though only two new episodes have been made this year. Whatever the truth, it's clear there's a whole lot of hoping going on, but until there's an announcement, we know nothing. And as we've said here on tv-ooh before, us Who fans don't do patience very well, but as with the pair of episodes rediscovered in 2011 (which we spotted prior to the announcement), lost episodes do turn up. So until we know for sure, let's keep on hoping - and then if/when they are announced, let's all be braced for the inevitable moaning about how we wished they had stayed lost because the ropey production values have ruined how we thought they might have looked and oh no isn't it just a travesty and so on and so forth, right everyone? RIGHT? 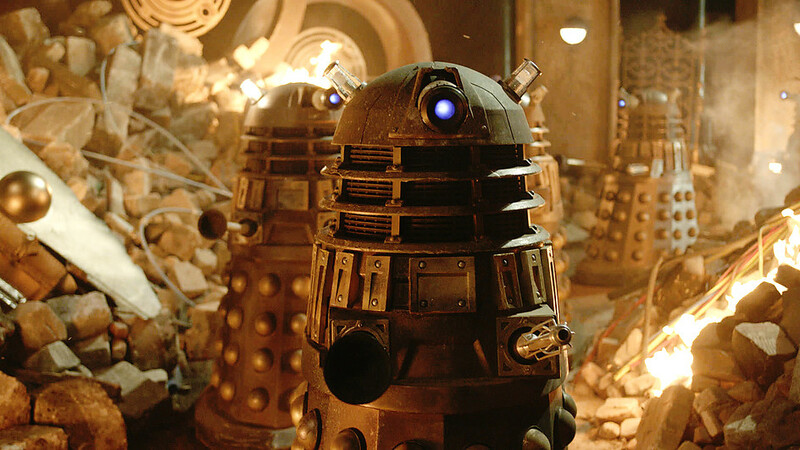 - Doctor Who 50th anniversary: Can the fans' high expectations be met?